EPA Administrator Scott Pruitt talks with agriculture industry groups in Lincoln, Nebraska, Thursday as part of a Midwest tour promoting a revised definition of the federal Waters of the United States rule. While Thursday evening’s meeting in Lincoln, Nebraska, was polite, the reception in other states has not been as welcoming, especially when it comes to his ethanol policies. Corn farmers have been venting their frustration through billboards and rallies, including in South Dakota, where The Associated Press reported some farmers drove tractors to an anti-Pruitt rally that took place at the same time he held a meeting with other producers. Pruitt, who has deep ties to the oil and gas industry and has been dogged by ethics questions, also has made enemies in Corn Belt senators like Iowa Republicans Chuck Grassley and Joni Ernst, who are looking to protect their constituencies’ markets. Grassley has said Pruitt's policies undermine President Donad Trump's stated commitment to ethanol. “This is a case where the president is being ill-served by political-appointees that aren’t carrying out his agenda,” Grassley said earlier this month. But Pruitt seems to be banking on support of replacing the Obama-era Waters of the United States Rule (WOTUS) — a longtime goal of his. 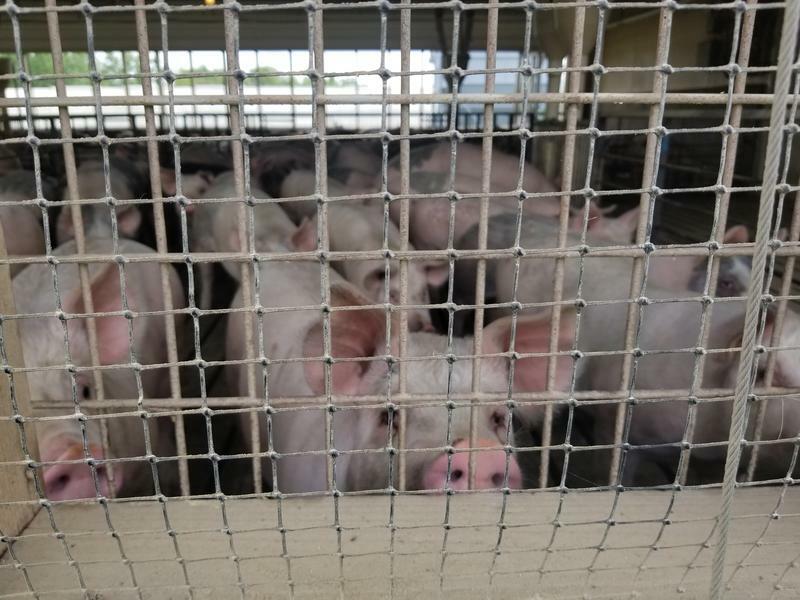 As Oklahoma’s attorney general, he led a multi-state lawsuit challenging the regulation. In Lincoln, he said the new definition of federal waters, now under review by the White House, will be scaled back. 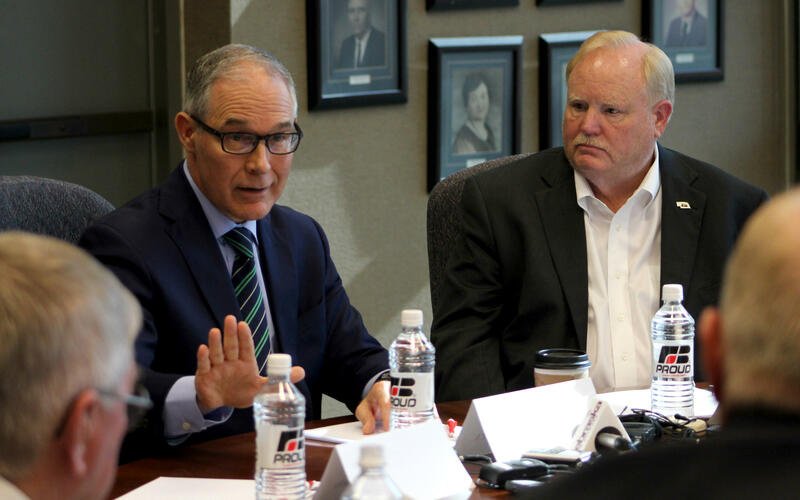 Corn farmers in the room were pleased to hear about the EPA’s WOTUS rewrite, but didn’t respond well when Pruitt said a plan to expand ethanol sales over the summer months remains on hold. Farm groups have been pushing the EPA to allow E15, a 15 percent blend of ethanol with gasoline to be sold year-round. It’s currently restricted over the summer months because of concerns with air quality. Pruitt said he supports year-round E15 and that the EPA has a proposal ready to go, but he said he has been told to hold off, though he didn’t say by whom. That frustrated corn farmer Dan Wesely of Morse Bluff, Nebraska, who expected more support for ethanol from the Trump administration. The EPA has granted hardship waivers to oil refineries, some owned by large corporations like Andeavor, exempting them from a portion of their obligations under the ethanol mandate. Some of those exemptions prompted the National Farmers Union, the National Corn Growers Association, the Renewable Fuels Association and the American Coalition for Ethanol to file a lawsuit over the waivers. Pruitt claimed in Lincoln that any waivers granted to refineries fit the guidelines of the Renewable Fuel Standard (RFS), the law that sets ethanol policy. Nathan Brabec, who works at the Louis Dreyfus ethanol plant in Norfolk, Nebraska, is worried that waivers water down ethanol production targets. “He made valid points but at the end of the day, we’ve got to meet the RFS,” Brabec said. Meanwhile, a proposal favored by corn producers to make certain blends of ethanol available year-round remains on the shelf. Corn growers, ethanol producers, and oil companies are anticipating an announcement from the Trump administration on possible changes to the Renewable Fuel Standard, which one Iowa senator says could undercut the president’s stated commitment to the law. 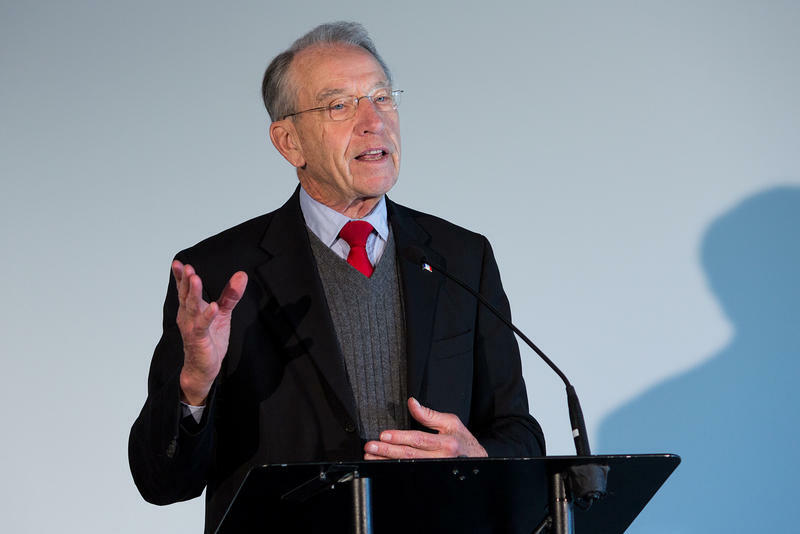 Ahead of the 2016 Iowa Caucuses, candidate Donald Trump pledged his support for the RFS, a promise Sen. Chuck Grassley, R-Iowa, expects the President to keep. The prospect of selling gasoline with more ethanol throughout the year remains alive, but likely won’t be approved in time for the upcoming summer driving season. Most gasoline containing ethanol has no more than 10 percent. A blend with up to 15 percent, called E-15, is available in some places, but in certain markets sales are prohibited from June first through September 15. In an ongoing push-pull between oil refiners and ethanol producers, President Donald Trump has indicated nationwide, year-round sales of E-15 could be in the works.